Elvis fans often discuss what they consider to be the most important day or event in Elvis’s career. But have you ever thought about what was the most important month in the King’s career? I suggest March 1956 as the month during which the most significant series of events in Elvis’s life were bunched together in a 30-day period. 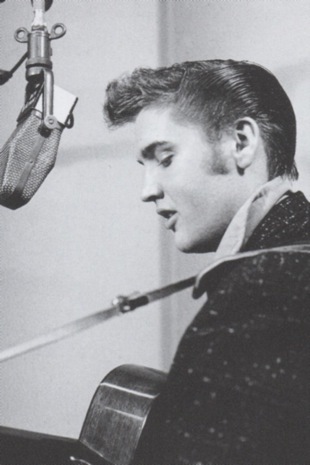 First of all, March 1956 was the month that Elvis Presley first appeared on Billboard’s Top 100 pop chart. On March 3, 1956, “Heartbreak Hotel” debuted on the chart at #68. It moved up the chart quickly, and by the end of the month it was inside the top 10 at #9 and on its way to #1. 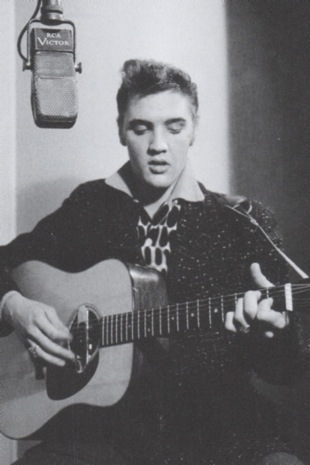 The flip side, “I Was the One” became Elvis’s second chart song when it entered the Top 100 at #84 on March 10, 1956. By the end of the month, it had climbed to #25. 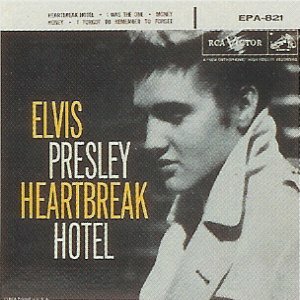 “Heartbreak Hotel’s” chart appearance on March 3 began an unprecedented and record-breaking streak for Elvis on the Top/Hot 100. Starting that week, he had at least one title in Billboard’s top chart for 136 consecutive weeks—over 2½ years! The streak included both sides of Elvis’s first 11 RCA singles, 14 top 10 sides, and 7 #1 records. Elvis’s name would not be absent from the Hot 100 until late September 1958, when RCA began increasing the interval between Elvis’s single releases after he had entered the army. A full-page in Billboard (another first for Elvis) on March 31 announced, “A Red Hot Star Is Born on RCA Victor Records!” The LP quickly rose to the top of the LP chart, where it stayed for 10 weeks. It became the first RCA album ever to sell over 300,000 copies on its initial release. According to Scotty Moore, Elvis and the band were so busy on the road that they were oblivious to Elvis’s records moving up the charts. The guys traveled to Shreveport on March 3, 10, and 31 to appear on The Louisiana Hayride radio broadcast. The March 31 show was Elvis’s last regular appearance on the Hayride,. Colonel Parker bought out his contract with the show two days later. Elvis also traveled to New York City in March for the final two of his six Saturday night network TV appearances on CBS’s Stage Show. On March 17 Elvis sang “Heartbreak Hotel,” which was just starting its run up the charts, and “Blue Suede Shoes.” A week later he again performed his hit record, along with “Money Honey” from his soon to be released LP. 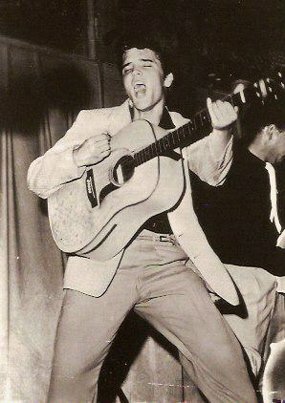 While Elvis’s Saturday nights in March 1956 were taken up with Hayride and Stage Showappearances, he continued his frenetic touring during mid-week. He played Memphis on March 9th, Atlanta on the 14th and 15th, Charleston on the 18th, Columbia on the 19th, Augusta on the 20th, Lexington on the 21st, Richmond on the 22nd, and Washington D.C. on the 23rd. During the press conference, Elvis brought up still another significant event in his career during March 1956—his Hollywood screen test. Elvis told the assembled writers that he would soon be flying to the coast “to receive a screen test for a new Hal Wallis move, ‘The Rainmakers,’ (sic) starring Burt Lancaster and Kathryn Hepburn.” Wallis had sent the script to Colonel Parker on March 7, and the Colonel turned it over to Elvis with the admonition, “Do not discuss this matter with anyone—not the boys in the band, the people at the Hayride, anyone, because this is private.” Parker could not have been happy when he learned Elvis was discussing a possible role in The Rainmaker with local reporters. For the record, Elvis flew to Los Angeles on March 25 for a three-day screen test at Paramount Studios. Behind the scenes, March 1956 was also significant in Elvis’s career because his professional relationship with Colonel Parker was finalized during that month. Early in March, Parker concluded contractural agreements that officially put an end to Elvis’s relationships with former manager Bob Neal and tour organizer Hank Snow. Then on March 26 Elvis signed a formal agreement that made Colonel Parker his “sole and exclusive Advisor, Personal Representative, and Manager in any and all fields of public and private entertainment.” For better or for worse, in March 1956 Elvis put complete control of his fledgling career in the hands of Colonel Tom Parker. "No other single month in his 24-year professional career produced as many life-changing episodes. In March 1956 it must have seemed to Elvis Presley that all of his dreams were coming true at the same time."